Last night, I drove to Kingston to meet friends for dinner. As I got closer to Kingston, I could see the moon starting to crest the treetops across the fields. The giant orange orb played peek a boo, before revealing itself and rising magnificently in the sky. This summer and fall have been spectacular for full moons. 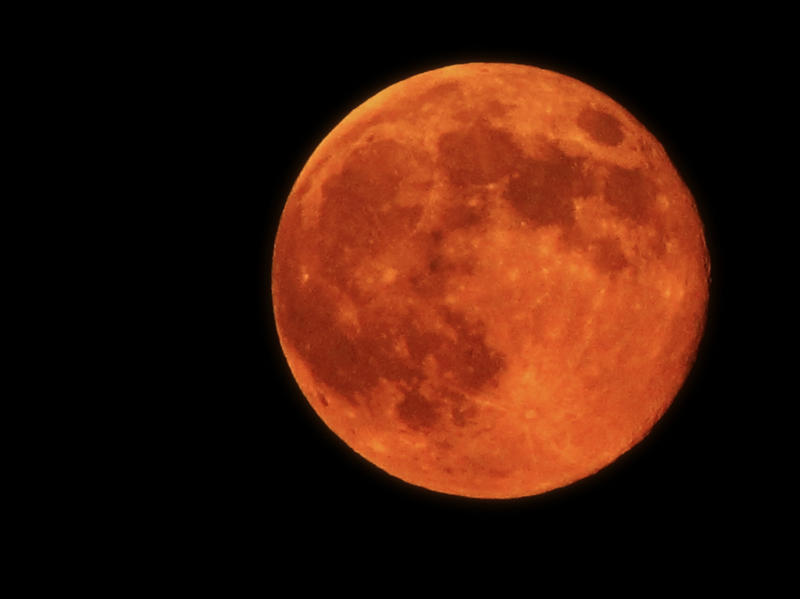 September was the harvest moon, the full moon closest to the start of the autumnal equinox. Last night’s moon was a supermoon, when the moon is closest to the earth. Throughout the year, the moon rises about 50 minutes later each day. The Harvest Moon rises only 23 minutes later each day, giving the illusion of experiencing full moons over several consecutive days. In astrological circles, full moons can portend times of change in your life or flashes of insight or perspective. Common mythology also has it that full moons are times when crazy things can happen. When I used to work in a hospital, the nurses swore they saw the wildest things on nights when there was a full moon. Whether you believe this or not, there is something spiritual and powerful about a full moon. This week’s #HappyAct is to keep your fingers crossed that the skies clear and witness the rise of the supermoon. Let the power of its light inspire positive change in your life and revel in its mystical beauty.